As Jacob Vandiver preached so well two weeks ago, we have to know our history. We Gentile believers have been grafted into the line of Abraham giving us a more enduring familial connection with one another in Christ than we have, perhaps, even with some of our own blood family. Sadly sin, both personal and systemic, regularly cuts us off from the rest of our spiritual family tree. This series on the church in Antioch gives us a snapshot of what we’re coming to recognize as, “normal Christian living.” Holidays like Rev. Dr. Martin Luther King, Jr. Day give us occasions to remember defining events and figures in the Christian church, particularly as we reflect on our church’s mission. If you’ve been invested at City Fellowship for any length of time, you’re likely beginning to realize that our work here is not for the faint of heart. We regularly seek the wisdom and encouragement of saints past and present to help us along the way. Much of what we have come to know in America as the Civil Rights Movement began in and was sustained by the black church. Clergy and parishioners alike risked their lives and livelihood to bear witness to the truth of the Gospel-- though they labored for and alongside those outside of the household of faith as well. A brief and sobering reflection on American church history reveals that without the work of these saints, some of whom are still alive today, there might not be a City Fellowship as we know it. As is tradition here at City, we will set aside the Sunday before MLK Day as “Freedomland Sunday,” to remember some of our heroes in the faith. 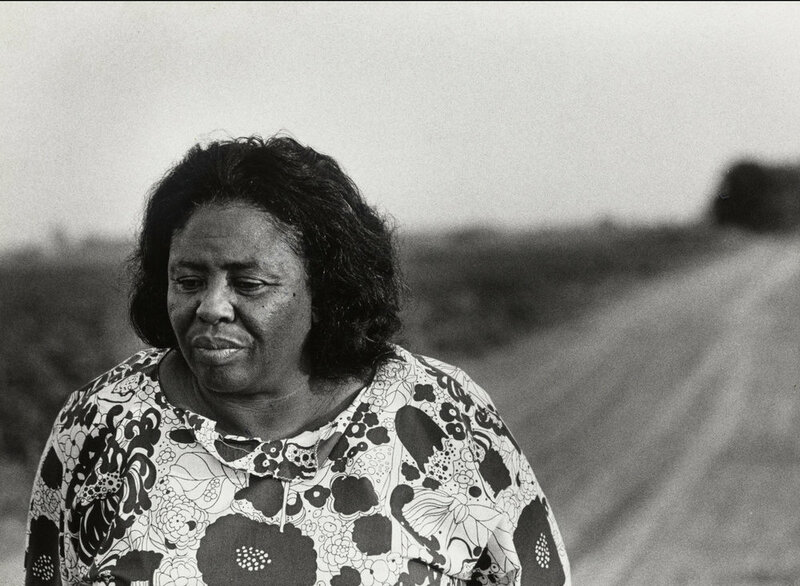 In so doing, we will journey back to 1964 to hear from civil rights leader, Fannie Lou Hamer. The sermon will be the second in our two-part series, “Where We Were First Called Christians,” from Acts 11:19-26. As we’ve observed already in our study of Acts, the book is an account of the early church deciding if and how it should become multiethnic. We’ve learned thus far that it was the multiethnicity of the church in Antioch that prompted the new name, “Christians.” This isn’t a mere rebrand, like Puff Daddy to P. Diddy. These men of Cyprus and Cyrene were preaching the Gospel not just to other Jews, but to anyone who would listen! Their behavior in this international city more closely resembled Jesus Christ of Nazareth, while traditional Jewish religion and culture would have instructed them to keep away from Gentiles. This clear distinction caused their neighbors to call them by another name. Then, with the Biblical equivalent of today’s mic drop, He sat down. As the saying goes, “Enough said!” Of the all the passages He could have chosen for His hometown debut, He chose these words of freedom for the downcast. If we are to bear Jesus’ name, Christians, then this passage is to be considered descriptive of normal Christian living. We do well to recognize that before any type of justice work was popular or trendy, it was biblical. Trends ebb and flow. Holy-days like Freedomland Sunday-- special days set aside to remember what the Lord has done-- can easily become trite rituals. Our hearts can bend toward cynicism, questioning the motives all of who observe the day rather than pressing in ourselves to experience what the Lord might have to say through remembrance of our shared history. For those of us who err towards suspicion of faith expressions that appears popular or trendy, remember, we take our marching orders from Jesus. Great crowds came and went during His three-year earthly ministry but Jesus’ popularity or lack thereof had no bearing on the truth of His word! That’s reason enough to celebrate! And for those of us who err toward patting ourselves on the back in our Freedomland Sunday observances thinking we’re “woke” or “we get it”, we do well to remember Christ crucified. In the words of Hebrews 12:3-4, “Consider him who endured from sinners such hostility against himself, so that you may not grow weary or fainthearted. 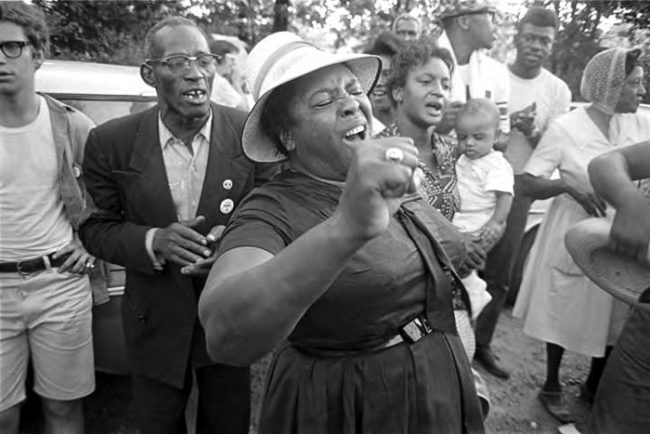 In your struggle against sin you have not yet resisted to the point of shedding your blood.” As public theologian Ekemini Uwan often admonishes, “You ain’t never gonna be more woke than Jesus!” And we can look to the example of Fannie Lou Hamer, one such saint who did indeed shed blood in enduring hostility against herself and others in resistance of sin. Her sacrifices are a prime example, not of a normal Christian life, but of normal Christian living as evidenced by the Scriptures. 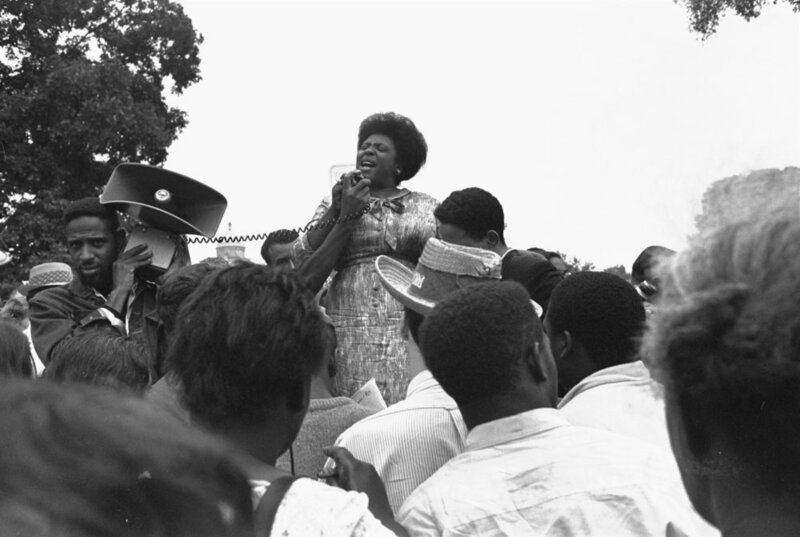 Fannie Lou Hamer’s work was not validated-- or invalidated-- by the crowds who gathered near, but by her innocent obedience to the truth she professed. We do well to follow her example. “...nation shall not lift up sword against nation, neither shall they learn war anymore; but they shall sit every man under his vine and under his fig tree, and no one shall make them afraid, for the mouth of the Lord of hosts has spoken...we will walk in the name of the Lord our God forever and ever.” (Micah 4:3-5).